Pure Charity released this r eport and CEO Mike Rusch shares the results from their survey of mostly small- and mid-size nonprofits, plus his recommendations. Hello and welcome to tony martignetti non-profit radio big non-profit ideas for the other ninety five percent on your aptly named host oh, i’m glad you’re with me. I’d be forced to endure the pain of ac andthe assis if you pickled me with the idea that you missed today’s show the state of good twenty eighteen pure charity released this report and ceo mike rush shares the results from their survey of mostly small and midsize non-profits plus his recommendations and your brand personality. This is a long term play letting people understand who your non-profit is what you do, why you do it and what you stand for. Our panel has tips on identity, strength and consistency of your personality there farrah trompeter from big duck taylor leak with corporate accountability and gina bates at highest that was recorded at the twenty eighteen non-profit technology conference where we were on tony’s steak too. Remembering mom responsive by pursuant full service fund-raising data driven and technology enabled tony dahna slash pursuant wagner, sepa is guiding you beyond the numbers wagner, cps dot com bye tell us turning credit card processing into your passive revenue stream. Tony dahna slash tony tell us and by text, to give mobile donations made easy text npr to. Four, four, four, nine nine nine. Pleased to welcome make-a-wish to the show. He’s, based in downtown bentonville, arkansas, and he is ceo at pure charity, a non profit dedicated to building world class technology solutions for non-profits individual fund-raising and community advocacy. He serves on the board of directors for help. One now mercy house, global canopy, northwest arkansas ninety nine balloons and others. He’s worked for nickelodeon, walt disney, hershey foods, and he served in the u s marine corps. He’s. Never far from a fly fishing river, you’ll find pure charity at pure charity dot com. Welcome to the show my crush, sonny, thanks for having me, it’s, a pleasure to be here. Thank you. Glad to have you pleasure on the signed as well, um what i’m interested in all these non-profit you’re on your own, a lot of different boards. Yeah, we’ve had the privilege over the past, oh five or six years of pure charity to interact with, just, you know, luckily, thousands of non-profits around the world before that, my heart and passion was about how do we make a difference in the world ? And so i had the opportunity and privilege to serve on some of those non-profit boards before we entered into the maturity space. And then since then, i’ve been able to kind of strategically serve in some areas where we think there’s some non-profits who are really leading innovation, who have the opportunity of really addressing the whole sector of needs of some of the world’s, most difficult problems, and so in trying to not only help in the fund-raising space, but also make sure that we are really students of the non-profit space and really in the weeds and in the dirt with non-profit partners have the privilege of being able to serve on the board of directors of some non-profits that i really feel provide some opportunities to continue to learn, but also to be able to share an implement some of the ideas that we see happening all over the non-profits space continuing your service from the from the marine corps dedicated to well and i think came too soon, not quite as rigorous is definitely think part of what we do is, you know, we’re in the technology space, and so a lot of our time spent behind a computer thinking about how people interact with technology, how do they interact with non-profits how did they see messaging on if we stay there that we’re gonna be disconnected from what we’re actually trying to occur polish and what we’re actually trying to accomplish didn’t see the lives of people improved, and so we we want to be not only involved in how that takes place on line, but we want to be personally involved, it keeps us grounded, keeps us connected and make sure that we’re always in a position of learning and listening. I’ve witnessed, and i’ve heard of some tense board meetings, i hope that your service in the marines was more rigorous than any of the board service. Yeah, definitely. So i think maybe maybe the marine corps was the perfect training to make sure that we could work, walk into the non-profit space on be effective. Yeah, right. Let’s, let’s keep things in perspective, please. You know, people, i remember i knew someone who, when anybody said, you know, i’m having a really bad day or they were really down or something. He i was in the army and was in vietnam. And he said a bad day is when the helicopter that rescues you crashes on the helicopter that rescued you from that crash is also that was that was his definition of a bad day to helicopter crashes, same day. Yeah, that’s, that is a bad day. And i think, you know, obviously we’re involved in working with non profit organisations all over the world, doing all kinds of work. And we also have the privilege of serving non-profits who are working to serve our veterans here in united states as well. And so for me, that’s a personal privilege, i think it’s in those places where we really we remember, like we as a country, we as a people, those that get to serve in the non-profit space. But we have the tremendous honor of tremendous privilege of being a part of something bigger than ourselves. And anyway, what we would like to consider this force of good that eyes really working its way around the world through just people like you and me who have a desire to not be content with the state of where we are today. But i want to see, you know, and that’s the name of our study, the state of good, we wantto state of good move forward. Well, let’s talk about the state it’s uh, it’s realistic, you know ? And i want to be realistic about it. Uh, but we’ll, you know, we’ll get to the we’ll get to the challenges, talk about your methodology. I was drawn to it because it’s mostly a survey of small and midsize non-profits but tell us how you did it, how many ? How many organizations were talking about how you chose them ? Sure, i think part of this is number one. We typically start with the non-profit partners that we’ve been able to work with on drily the focus on the pure charity side is working with non-profits who are what we would consider trying to solve some of the most difficult problems in the world. So when we started, we really the millennium development goals at that. Time and said, ok, these are the some of the most difficult problems that really the whole world is working to solve. And so we said, hey, if we could take our our expertise, if we can take our best practice sharing on and the tools that were creating two really apply those to those kinds of really serious situations in problems and issues that way felt like that was a good place to start, and so we lifted the state of good. We obviously started with all the non-profits that we’ve worked with before and really sending out these questions to them, we did later open that up, tio non-profits really within our network or those that are following on social media and then sought out some friends and partners to ask them to provide their feedback as well, too. So it really is a survey, i think we wanted to use it really as a listening device, teo really ask people what they’re thinking, what they’re feeling and really open ourselves up to kind of be moved from what we thought or move from where we think our traditional problems and challenges are to really listen to those. That are out in the world at the forefront of some of these problems. And how do they feel ? And i think that’s important to remember that a lot of people working in the non-profit space, how they feel and the things they’re doing, are going to project to the organizations that they’re serving. In-kind project into the people that they’re serving our community, that they’re serving. So we really felt like, really asking people, how do you feel ? What are you seeing ? What what’s the world that you’re seeing within your sphere of influence in your sphere of work, on trying to aggregate those opinions and thoughts and ideas to see honestly, what we would find ? How many non-profits were surveyed, total. Sure, we had the privilege of talking about over two hundred, non-profits participated in the survey, so we had within those two hundred non-profits people, from all levels of the organization, from the executive level toe development directors, to marketing directors of program coordinators. Way like we got a really good sampling of both non-profits doing a whole lot of different types of work, but also different people within the within the organization, and it really does weight towards small, i would say small, not even midsize, but certainly it’s, a two, least small and midsize, the number of donors who gave to your non-profit in twenty seventeen, that was a question. One, two, fifty was was thirty percent. Almost twenty nine percent and fifty two, five hundred was forty two percent. So when you put those two together, seventy two percent of your respondents had fewer than five hundred donors. So that’s, you know, that’s, our that’s, our audience here. Ah, in terms of total annual receipts for twenty, seventeen, just up to one hundred thousand was fifty percent of the survey, and a hundred thousand to a million was another thirty one percent. So there you got it, just like they got eighty percent a million dollars or less. Aunt stella, we definitely, i think, was in the network of people that we’ve been working with most of the non-profits are probably that we see anyway are anywhere from five to ten years old, they have usually annual donations of half a million to a million dollars so it’s typically where i think the types of organizations that we’ve been working with there’s just a lot of those organizations out there in the world, those are a lot of organizations working on on kind of the problem problems that we would consider a kind of a really detailed micro level, um, that we think are pretty typical of the non-profit space i know there’s a lot of big organizations doing a whole lot of very good work out there, but when we see new ideas, emerging new ways of thinking about innovation in the non-profit space knew programs being created way see a lot of obviously i think as well with i have a new generation of philanthropist, a new generation of innovators, new generation of people entering into the work force air into the non-profit space single, obviously a lot of new non-profits that air starting really tackling ? Problems in new ways or different ways. So we want to make sure we capture that, that ethos of what we feel like it’s, kind of the up and coming organisations and leaders who are who are really able tto look att problems may be in a very critical eye, and while they understand that traditionally problems have been dealt with this way, maybe their space and opportunity to deal with them and look at them in new ways as well. Yeah, we gotta take a break, mike. Pursuant they’re e book is fast non-profit growth stealing from the start ups, they take the secrets from the fastest growing startups and apply those methods and practices to your non-profit it’s free as you’re accustomed to all the pursuant resources are free. You will find it on the listener landing page. Tony dahna slash pursuant with a capital p for please and i guess for pursuing ilsen now back to the state of good. Twenty eighteen. Thank you, mike. All right, let’s, get into let’s. Get into some of the results. What ? What struck you ? Mostly. What was the most outstanding thing when when you pushed through this data that, uh that hit you ? Yeah, i think there’s a number of things, obviously, but when you look at, um, the nonprofit sector, i think there’s this overarching theme that sometimes the way i look at my non-profit is not the way that i look at the non-profit industry on that could be good or bad, and the things that i feel like i should be prioritizing for my non-profit are sometimes very different than the things that we feel like the non-profit industry should be prioritizing and and i think what that means is that to me, there’s, a little bit of a disconnect and maybe there’s this expectation of the nonprofit sector or this view of the nonprofit sector, how well informed that is sometimes khun b question, yeah, let’s talk about what you think that we would expect, yeah, what’d you learn from the survey, i think some of our biggest takeaways was really maybe some of the untapped potential that we see out out in the non-profit space, i think we all know that i think we all know that non-profits rather trying to solve problems that haven’t been solved yet. Andi, i think, unfortunately, sometimes there’s a very critical, very skeptical view point, sometimes within those that are in that in that space. When we look at the study, we found that one out of every three other respondents said that the non profit sector really wasn’t very healthy when you looked at the executive leaders within these non-profits they thought that even more and so we know this work is hard, we know this work is difficult, but way couldn’t let that set the tone for what we thought was really this untapped potential out in the world of doing good, so we need to step back a little bit and really make sure i think one of our biggest collapse non-profit since we talked to them is ok let’s, let’s withhold maybe some judgment around the non-profit space and industry, and maybe look at our own organization a little bit more critically and maybe not such a rose colored glasses sometimes, and so seeing that there’s untapped potential, you know how ? How can the it’s, the sometimes frustrated and struggling small, a midsize shop ? We’re going to talk about what challenges they saw very shortly, but, you know, how can they capitalized on that ? And grasped them that potential ? Yeah, i think well, we see back with them. Maybe some of the comments, especially that we received back, is that we have to remember that number one, the space that we’re working probably has some inherent challenges that are, you know, that are greater than most may think sometimes the work that we’re doing it’s not going to move the needle is as quickly as we thought, but that shouldn’t be discouraging, and it shouldn’t mean that the work we’re doing isn’t working, so it really takes those within leadership positions that non-profit organizations to continue to reinforce that what we, what we have ahead of us is greater than what was behind and that the challenges that we have in front of us are not insurmountable. We do have the ability, it may take a little bit longer. It may take a little bit more focus on the programs that we have in the programs were working in, but we really have to set the tone within our organizations and within our industry that that there is hope and that there is good being done in the world. We all know that, but sometimes i think those especially who have been in this industry for five to ten years, they have to take care of themselves, they’ve got to make sure that they’re keeping, you know, their their views and their ideas of what’s happening in the industry, you know, positive and hopeful and really, i think they could draw that from being within networks of other non-profit leaders and other people with same types of areas that they’re working, so i think somebody, you know, first of all how we feel with non-profit space sometimes that’s, maybe not always accurate, and we have to really make sure we check ourselves and not sometimes let the overarching hardness of what we’re doing start to impact our ability to see what that kind of new tomorrow could look like for the people we’re serving. I have a therapist used to say the way you field drives, how you act on dh, you know, if if you if you’re thinking regularly constantly about, you know, shortages and scarcity mentality that’s going toe that’s goingto drive your organizations, but if you’re in the leadership is going to drive your staff and your organisation toe act in certain ways and send certain messages that, you know are not are not optimistic, like, you know, like like you’re encouraging the way you the way you feel is going to drive the way you act. Dahna and you absolutely true and it’s, not that’s, not unique to the non-profit world, but i do think because the nature of the problems we’re trying to solve, we do have to have an awareness that way we do have to rise above in many ways and that even though it’s hard, what actually is the light at the end of the tunnel is that we do have an opportunity to make a really positive impact on someone’s life. I should give a disclaimer, too, that i fired that therapist. I never i never got that. I never got any value on her so very good, okay, you, uh, you report on challenges for non-profits and the you first you aggregate and then you have reported challenges for smaller non-profits and then for larger ones, the in the aggregate, almost sixty percent ofyou respondents said fund-raising lack of funding is a top challenge on then, about thirty three percent said exactly thirty three percent. Socio political environment on dh, then close to that thirty one percent lack of incentive for donors to give. So those were the ones with the aggregated ones. I wonder, i wonder, focused more on the the challenges for smaller non-profits vs versus larger, because i thought that the disparity between the two was interesting, and you certainly bring it out in the report. For the smaller non-profits, the top challenge is, in fact, fund-raising that’s sixty. Sixty four percent so close to two thirds think fund-raising and lack of, uh, lack of funding is a problem, you know. And again, that’s that’s that well, you don’t want that to turn into a scarcity mentality. You want to recognize it as real, but but not not, let your messaging. Drive. Drive. A sense of, i guess, have sense of discouragement. I think, you know, this was probably unfortunately the one thing in the study that kind of confirmed what we were thinking, and i think part of that we’re number one, we are in the fund-raising space, so most people, when they come to our doors, they are thinking about how do i get help ? Fund-raising so that’s not an uncommon question to us on dh it’s kind of one we have begun to anticipate, but when you put the survey out, um, i think it confirmed that, you know, sometimes this is a long term versus short term view of what we’re trying to get done. I think in our experience, we’ve we’ve kind of used this term that fund-raising is the symptom meaning that, yes, you may have fund-raising opportunities you may have lack of funding, but as you start to dig into why that maybe or or what you’re doing to solve that problem typically that’s not the root of the problem we’re trying to get done, and so it always causes us to kind of back up into hyre level questions around either leadership or around the division admission of the organization or in program execution. To understand how those kinds of things where the messaging about our non-profit actually affects our ability to fundraise, and so if those things are not done correctly, fund-raising is always going going to be a problem, and i think smaller non-profits will inherently feel this tension of being super competitive because they’re trying to break out a new idea into the world or they’re trying to understand their messaging or they feel like no one understands what they’re trying to get done, and so that manifests itself back within this offered this idea of lack of funding, and so i think, number one that’s confirming ofwhat we maybe had expected to hear, but number two, i think it’s also hopeful because it is an overcome oppcoll problem in many ways, andi, i think that also speaks toe wide, maybe with some larger non-profits you actually see some of these challenges start to kind of almost flip, if you will, because they’ve started to think through or maybe solved some of those problems. Yeah, i see in yeah, for larger organizations and that’s, those with five million dollars revenue annually or mohr fund-raising opportunities is it actually is flip it’s. Only one third, ranking mattias, as one of the top three challenges versus the two thirds. At the smaller words. Mike’s. A little more about what might actually be the cause. The disease, if you well, i mean, if fund-raising is the symptom, you mentioned some broad categories, like leadership. But when the clients you’re working with what ? What do you find ? To be a little more precise about what you find as the the root cause of that fund-raising symptom. Sure. And i think sometimes, um, broadly, i would say it usually comes back to how i’m able to communicate about the impact on the work that my organization is doing and typically and smaller organizations or younger organizations, typically those who are our founder lead there’s just so much information around passion, uh, that we feel like we can, and typically this is what gets a non-profit kind of puppet running out the doors, this idea of a very dynamic leader who has a lot of passion for our cause is right, and people will come alongside that leader because of that passion eventually, though, that has to translate into execution into programs that are actually, uh, appropriate and making a difference within this idea of what we would consider almost a continuum of care. So my organization is exist to solve this problem. This is how we solve this problem and then here’s the results of solving this problem, and unfortunately, i think within smaller non-profits they’re still working that out, and i think you could find yourself in a position where kind of the car gets in front of the horse where we think if we just had more money, i could be more effective in my programs, or i could i could get more people involved, or i could do whatever i’m trying t get done, and i think i have very rarely run into problems situations with non-profits where if they just had more money, all of their problems would go away. I think in many ways, just having more money can actually amplify their effectiveness, or sometimes unfortunately they’re ineffectiveness is, well, too. And so i think younger, smaller organizations where it may be run by a handful of people, unfortunately, sometimes there’s, not that critical eye to come in and say, we understand you’re passionate, we understand you care about these. We’re not calling any of those things in the question, but we do need to think critically about the programs and the way we’re serving people in the impact we’re having. First, how we message that to our donors, how we and this you know this as well, if not better, than i do, how even communicate to our donors how we thank them, who acknowledged how we invite them into our work. So that it’s not a financial transaction, this is a way of making a difference in the world ? Yes, we need financial resources to do that. But it’s not the only thing that we need to move our vision and mission forward. And so i think it comes down to leadership. I think it comes down to, you know, having permission to be critical of the work that we’re doing internally. Andi thinkit’s i think it’s okay to ask and invite other people to come in and speak into the work that we’re doing to make sure that we’re, uh, in the interest of serving the people and our communities the right way, the most effective way to alleviate whatever problem we’re trying to solve, we owe it to the people that we’re serving to do it the best way we can. And we shouldn’t be expected to have all the answers out of the gate. Yeah, yeah. I absolutely agree with you about the passion that gets thie organization started, but it takes ah, much savvy, your business sense to get to the next level and that’s a question i get so often how do we get to the next level ? Look so well said thankyou. So on. The on the top reporter challenges for larger if it’s again, you asked for what people named their top three, the one that got the most half said the socio political environment, and i felt like that they’re there. They were saying they’re having trouble standing out in a crowded and noisy environment where lots of people are signing more petitions, getting more calls to action, whatever they might be. Sabat and i, uh well before i say what i thought, my my sense of that what what the real trouble could be ? What what, what what did you take away from that half the half of the larger non-profits again, five million dollars in revenue annually, saying the social political environment is their biggest challenge ? Sure and this, you know, this was actually a question that we have non-profits ask us all the time like, hey, what’s happening in the daily news. To what extent does that affect the work that i’m doing ? Andi, i think we can all admit whichever side of the political spectrum you’re on the past few years have taken on a very different tone than we’ve had in years before, and i think that has an impact on how people think about philanthropy, about the causes they want to support, whether there will be international supported programs or domestically, you know, the most domestic programs. And so this was a big question, like, how worried are you in the changing how quickly our culture is changing, especially over the past few years ? Mike ? Mike it just to interrupt you for a sec ? Well, you have about a minute left. Unfortunately. So ok. Eso se concise, i think. Yeah, i think i think that was that was our biggest question. Like, do you really think this environment something maybe outside of your control is really impacting some of the challenge you’re having and pushing your mission forward ? Okay, andi, i i saw the problem there is, you know, your messaging. You need to be able to stand out. You need to make your make your case for why your organization is unique and on dh on dh deserves attention. Not just your support, but attention in this in this. What is ah ah, noisier environment. Mike tell people how they can get the full survey because we’re just scratching the surface. People need to read. The whole thing. How did you get it ? Yeah, absolutely. I would say if you want to follow along with conversation go, you can go down the full download the full report at state of good dot org’s, that state of good dot organ will give you all the information that we have. We try to summarise in a way that’s, kind of short and concise, but take a look at that and then shoot a certain questions way we’d love to engage with people to understand how you see these issues and maybe how they could be applied to your organization. Move that state of good forward. Can they send questions at state of good dot or ge ? Well, that’ll take you into ah paige, on the pure charity website where you’ll have the opportunity to send questions and, if you want or when you down that download that report, you’ll get an email from us and you can respond to that email of questions or thoughts or, well, happy to dig into it a lot more. Okay, we got to leave it there. Thank you very much, mike durney, thanks so much for your time. Appreciate my pleasure. Thank you, ceo and pure charity, which you’ll find a pure charity. Dot com. And, of course, the report is that state of good dot or ge. Now it is time for another break. When you’re cps, do you need help with accounting or your nine ninety ? Are you thinking about a change of accountants ? Maybe for next year, the next cycle, check out wagner. Cps dot com. Start your due diligence there. Then pick up the phone and talk to them. Partner yet huge tomb. You know he’s. Been on the show. He’s smart, he’s. A good guy. Hey, will explain whether they can help you at wagner. So get yourself started at wagner. Cps dot com now time for tony stick too. My mom died a year ago today and while the time she was declining all last summer and early fall seems like it was so long ago. The year that she’s been gone has really flown by. And while the loss still hurts and there are times that i miss her a lot. It’s no longer sad all the time. Sometimes now i confess think about her and i smile. And joe biden mentioned that in his eulogy to john mccain he was talking to the mccain family. He said that that time would come and it struck me. How right that he is that over time the memories bring a smile it’s not always tears that always sad anymore on dh. So i know that i have lots of more smiles to come as my memories of my mom remained vivid. I say a little more about this in my video at tony martignetti dot com now it’s time for your brand personality welcome to tony martignetti non-profit radio coverage of eighteen ntc you know what that is ? Two thousand eighteen non-profit technology conference. We’re coming to you from new orleans at the convention center. 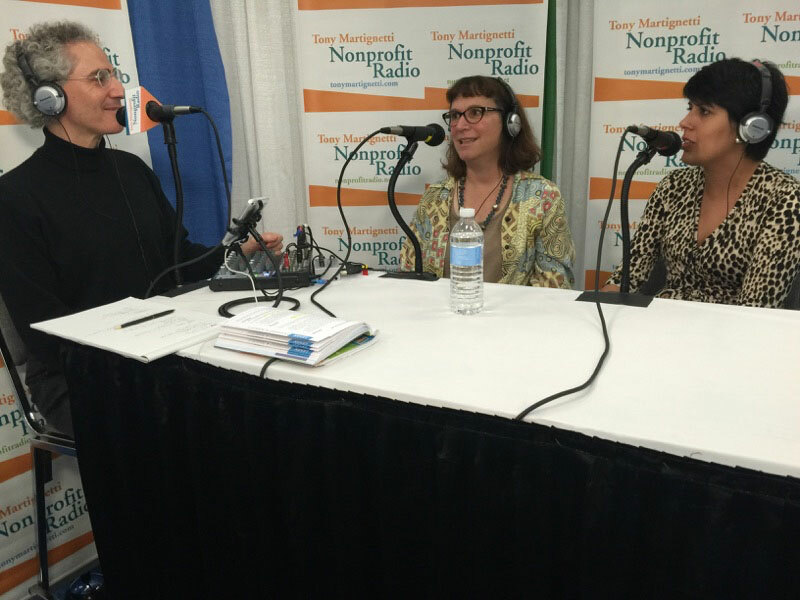 This interview is sponsored by network for good, easy to use dahna management and fund-raising software for non-profits. My guests are farrah trompeter taylor leak and gina bates para closest to me. Is vice president of big duck and she’s also chaired the board of non-profit technology network. Taylor leak is digital engagement director, corporate accountability. And john avi is director of digital strategy and engagement at highest. Welcome. You good to have you all seen my pleasure. Thank you. Thank you for taking time. I know because i know the bar is open. Has anyone bought a drink ? Not yet. We’re waiting for you to buy. A street you are going to hold your breath a long time going blue in the face. Your seminar topic is courageous or cautious establishing you’re non-profits brand personality tara, i don’t know how many different ways you can carve up brand personality. You and i have been talking about this for about six years. I think no video, i don’t know multiple times on non-profit radio and here in the studio. Why is the brand personality so damn important ? Well, the kinds of their brand personality is one of two parts of brand strategy. The other part is positioning, and at big duck we wrote a book many years ago. You’ve had sarah on the show. Sarah durham, our ceo wrote a book called brandraise ing and at the heart of brandraise ng we look att brand strategy of positioning and personality as really being the essential ingredients to guiding your brand identity and the experience of your brand, and we really believe personality especially, is a concept that is really easy to hone in on and then used to make decisions from big things like your brand to day to day decisions like what should i post on ? Facebook and how should i say it ? Ok, ok teller brand personality takes on things like that are kind of esoteric, like tone short, right and it’s just a little bit. It is a person i mean gets to tone and whether we’re humorous or or serious and things like that, right ? Right ? Absolutely. Yeah. And that we a corporate accountability a couple years ago started working with big duck teo do ah whole organizational identity campaign on one of the first things we did was take a look at what our personality waas. So we went through a process with our staff are bored remember some of the folks who are most engaged, teo really figure out sort of what was resonating, what wasn’t what work we were doing and how all that fit in on what we came up with was a personality with forwards and smart, optimistic, fierce and genuine. Wei used that sort of our north star guiding light for everything that we did after that which included coming up with a whole new name for the organisation. Omar okay, hold the website so it really was sort of the starting point for this really big long process. That has been really phenomenal and paid really nice dividends in the end. Softy. Softy. Soft optimistic what ? What else ? Smart, smart, smart, optimistic, genuine and fierce. So gf okay. Don’t make an acronym. Adam, come on. All right, jonah, down the end. What is your your rules are working with big duck at highest way works with what ? It took five years. Okay. What did you discover in this in the brand personality process ? Uh, well, we had to dio three sixty as well, and it was very intensive and quite long process. And what we learned was that our brand was scene very differently outside than the way that people saw it. Inside the organization. It was a one hundred thirty year old organization. And people thought of it as your grandmother’s highest, an organization that brought your grandparent’s over from the holocaust or brought soviet jews over in the early nineties late eighties, which it had on. And i was actually a refugee brought over by highest. But we were still around. And now we were working in twenty states across the country, in ten countries across the globe in washington, doing fierce advocacy and we wanted to communicate that. And so we couldn’t be the hebrew immigrant society of organisation that sounds like at least two of those words are outdated. Instead, we became highest. We got a tagline. Welcome the stranger. Protect the refugee so that it would be in lock up and always tell people that highest was the jewish refugee protection agency on. And we got some brand personality words. Okay, so, there’s, a lot of introspection. Oh, yeah. You had to admit that people thought you were dead. You had to hear people thought you were either dead or relevant. I mean, that’s hard to hear. I mean, not that i would be difficult for me, but you. I mean, you ask hard questions, you have to be willing to hear the answers power on my right ? Yeah. I don’t think there was ever worry that highest was dead. I think it was just more like there was a guy group of people who understood its work based in the past. And there was a fear, i think to a two point if we talk about what we’re doing now, we might lose some of those people who only knew. Us in a certain way, men, often with brandon projects not just with highest with almost every non-profit organisation we work with theirs, as we think about shifting our identity, how do we make new friends and keep the old ana and right when we’re taking this really hard look at ourselves and we’re trying, teo, you know, whatever, trying to remake an organization, and we’re just trying to bring out who you really are now and tap into the best of who you are and make sure your communications actually reflect that. Ok, ok, so now, okay, so you’re you both have worked with big duck, but i don’t want to ask all the questions of sarah the exit now so let’s see your experts as well, okay, i so one of you identifying where you stand now like what your personality is now, how do you how do you do that process ? How do you start that process ? Go ahead, tell him. So. We started a couple years back and really you’re just saying it really started with introspection. It really started with sitting down figuring out exactly who we were, what work we did. And then what ? Other folks who are closest to us thought so how do you how do you gauge that ? How do you find that out ? We did a lot of interviews with staff and board members as well as some of our closest philanthropic partners on, and then we did sort of a broader survey of a few more of our members. I came up with you, no word clouds and data points, and andrea lee crunched through just sort of what folks thought of us, and one of a few of the things that we found was that folks really resonated with our mission, which is to challenge corporate abuse challenge lifesaving corporate abuse, but they didn’t necessarily know who we were. One of the reasons was that we had developed a whole bunch of campaigns and people knew our campaign, so they knew then you kick big tobacco out and they knew take back the top. They knew of these campaigns that we were doing, but they didn’t know that we were the ones doing and then, you know, we had also transitioned from organization started in the seventies with the nestle boycott around infant formula, so we started is this really scrappy, that grassroots organized organization that, you know, it’s, just a couple folks taking on this giant corporation on dh. Then when we took on more campaigns, we transitioned into corporate accountability international, we were doing a lot of work with the u n so we had put out sort of a different view of us being sort of stuffy policy wonks who are at the u n and, you know, taking on really important decisions with ambassadors eso a lot of the work we have to do is both to say, you know, how do we marry those two things ? Because they’re both true on how do we reflect that in what we look like to the world, which was not the case before we went through this process ? Now, jonah, you as you’re going through this process, they’re going to be people who are reluctant two abandoned, whatever he ruin migrants aid society, even though farah saying, you know, you, you don’t want to lose the past a cz you embrace the future, but there are still people that are not going to go along with hyre it’s, the hebrew immigrant aid society or it’s ? Nothing. Wait, just let those people go are what we do to try to bring them along, and some people will never but what are we doing ? Try anyway, it’s an interesting question to ask, but we’ve been at it for five years since the rebrand and luckily and unluckily, a lot of things have happened in the world to really help us do that. We’re in the midst of the largest refugee crisis the world has ever seen, and as a jewish organising agent rooted in jewish history and values where the jewish refugee experiences really central, um, i wouldn’t say that we lost that many people, but, boy, did we gain a lot, uh, it’s an experience that it’s a crisis that is in the news every single day these days when when i started out, i’m not going to lie on a content side. It was talking about the syrian refugee crisis, global refugees there, sixty five million people displaced around the world, twenty two plus million of them are refugees and uh yes, over five million are syrian refugees, but we’re talking about we’re talking about the whole entire world, world on and we’re talking about refugees. In this country and what’s happening in the administration and what the administration is doing to turn off refugee admissions to this country on dso, the jewish community has been empowered and mobilized. Teo advocate for refugees too stand with highest in a really powerful and profound way to say that this is not what our country’s about. This is not what our people are about. This is not what we want to be, and highest has been able teo brand personality words are agile, fearless, intelligent. It was just the right fit. You only got three words. It was in the top three corporate account e-giving got four. You got screwed. Now they have five or six actually she’s just talking about the top three. I don’t want to clarify something earlier you were asking about, like what’s your brand personality. Now ideally, you don’t change your brand personality, right ? That you might you should every year do what we call a brand check up our brand audit and you should just say okay here’s, our positioning and personality here’s how we’ve been communicating, here’s, what’s happening in the world or our world does this all still feel relevant ? But your brand personality and your brand positioning, which are internal tools, are meant to guide the organization for several years. You don’t change it every year. You might accentuate certain treats in some places more than others, but you’re not re changing your brand personality every year. Yeah, no. Okay, okay got to take a break tell us you’ve heard from the charities that referred companies for credit card processing, and they’re getting that revenue each month you’ve heard from the companies who are using tello’s for credit card processing can use more revenue. I know you can start with the video at tony dahna slash tony tell us now back to our panel from auntie si how do you assess these things like tone and attitude, which are which are part of personality humor or not ? How do you ? Yeah, i don’t know you’re shaking your head, so i hope you understand like i can’t i can’t articulated any further. How do you assess these things ? He’s, amorphous personality attributes so how do you first define what they should be ? Or how do you assess if you’re actually expressing them ? No, you have a lot of if they’re actually expressing what we’re reaching, where you want to be. I mean, i think i’d be curious to hear from john and taylor on this too. I think it’s hard, because a lot of this is very subjective. Yeah, right. So i might you know what i think is funny or witty ? Like i might think something’s witty and you find it insulting or you find that hysterical, like we all have different interpretations. What does it mean to be fierce ? What does it mean to be lifesaving ? There are different ways we might express these ideas. So i mean, often it’s a matter of asking for a few people their opinion does this feel this way on and also just asking the people you’re trying to engage ? How do you see us ? But the most important is that donor that activists that volunteer, that audience member were trying to engage with our communications because at the end of the day, communications and your brand, this part of that is about building relationships and making connections. Personality is making easy for maybe needs see myself in you, but if you don’t see it, then something’s wrong. So even talking to the people you’re trying to reach and ask them how they describe your, how you make them feel that’s the best way to assess it short of that talking teo your coworkers and say, does this feel extra ? Why and getting their feedback ? But i’m curious how you guys sort of think about using the brand personality and dated a ways and how you assess if you’re living up to that. Welcome to farrah trompeter way you’re putting my profits with you if that’s what you’re asking now, go ahead, of course, sorry, don’t be sorry, you know, i think what fair said about it being something that is sort of already part of who you are really resonate, so i think we use it as sort of a guide, right ? So we have those words in mind when we’re drafting content when we’re posting on social media on dh, you know, oftentimes it will it will be that we’re emphasizing one over the other, you know ? You can’t be all four of those things that at all times, but i think you know, for me, it’s really a thing to keep in mind as you’re working on everything you put out day today a cz, you know, a reflection of what we do, but i think to me it feels like those just are sort of intrinsic to the organizing we do. That is sort of why the organization hired all of us because we as individuals who work there represent that, and the work that comes out of us represents that too. So it’s, it’s hard to really assess because it feels just like it’s, part of who we are and that’s, what we’re doing is sort of representing that in the world in the best possible way we can. Do you have a concern that as staff turnover in the organization, that the learning is that you have one convey one could be over ? I don’t think so. I mean, i think we have some really incredible staff who’ve been there for a long time, and we have some really strong sort of internal process cities that keep things pretty pretty consistent. Okay, let’s, talk about this. Get that to the list of discussion in the process because, i mean, there is a fair amount of turnover, okay ? Horsepower said you do an annual check up, so that is goingto reinforce for people who weren’t there in the past, but we’ll talk about some process. Dahna did you want to respond to what there was talking about ? Sure so i think i could talk about it in two parts on the one hand, um, i think that our personality as a brand be seeped into our personality as an organization, i’m not sure, um, if that was truly intentional, but it was but an entirely necessary, uh, and by that i mean, now we are in the process of suing the u s government, our biggest funder for posing such a threat, teo refugee resettlement, which we which is at the core of what we do. And at the core of what this country really stands for that that’s a lot more than brand colors or guidelines or a tagline that’s about being lifesaving at the core. S o i don’t think that, uh, that that’s the kind of thing that requires, you know, an annual refresh that’s just who we are on and then the other piece is about how you make people feel, and i think that because he is a huge part of what ? We do and community engagement in our work, it’s a huge part of what we do, and so we give people a lot of different ways to take action, and we try to be very responsive to events and report those events to our supporters so that they can take action and that includes situation in this country as well as internet national issues affecting refugees. And so weii, we empower our supporters too, be a reflection of our brand personality as well, and i think that that creates a really strong connection. You work in digital engagement strategy. Back-up how do you ensure that mother teams in the air in highest feel the same ? I mean, communicate in the same way if their outward facing, even if they’re not outward facing, but even if they’re strictly an internal team department, how do you convey this personality outside your your team, your engagement team ? Or how do you make sure that they feel what you feel, but maybe it’s, not your thing ? It may not be your responsibility to do that, but how do out of out of the organization ? I mean ways, please large and small is all a lot of it is personal connections with our community engagement team who are the people that are out in synagogues and at other conferences and in the jewish community, engaging people in our mission. So being in close communications with them and help working on the campaigns that we do together with communications with development teo, to display our brand properly in an outward facing way. Um, internal communications way have an internet where we talk with the program’s people and share our brand guidelines, and any time i see a programs person talking to our partners and sending out materials that are not on brand because they might be new and i haven’t had a chance to meet them, uh, and they need to be looped into you know what our communications do, one should look like, you know, then then we have conversations i’ve travelled to our offices too give lynton learns on our branding and to our field office this’s with communicated with our global directors to make sure that globally our brand is well represented, which is by no means tricky, but you just it just requires jutze buy-in nothing’s easy again, it is it’s an ongoing process and yes, there’s, you know, turn over and volunteers and new people to educate all the time. I think that when the personality is so closely aligned with the mission, the people that are joining the team, wherever they may be, i already sort of half indoctrinated and it’s just a matter of, you know, giving them some templates and some tools and opening up the lines of communication. Yeah, very well said, because we do have to make sure that this pervades the entire organization and even even internal i had mentioned not only for the outward facing teams. Yeah, i mean, some organizations use brand personality, and they’re hiring, right ? So we want to be seen as a b and c we need to make sure that everyone who works for us is naturally that way. Both john and taylor have spoken about how making the switch to train everyone in the brand personality actually wasn’t that hard because what we did in the process is figure out who they were and, in essence, fine there’s. Lots of things, lots of adjectives, ways we might describe people, what we want to do is hone in on those three to six that we want to amplify, right ? That we really want to be most known for ? We want most resonate, but they’re who we are, so we’re turning up on the volume of something we already have so organizations can use that in hiring and even shaping conversations. Yes, every single person, you know, if an organization wants to be seen as friendly, if i call them on the phone and the person who answers the phone sounds pissed off or drops me on the line, or it takes twenty minutes with someone live, answers the phone and they were going to be seen us open and accessible. If it takes me twenty minutes to get a person on the phone, you never want to go for a brand personnel city that, in essence, will never be who you are. And every single person who represents the organization and that includes inside needs to understand what it iss okay ? Yeah, your point is you’re just you’re emphasizing what already exists. Exactly you’re you’re bringing it to the top and prioritising right ? Prioritizing us a good warning, people probably already feel, but right not articulated. We’re making explosion. Let’s, be intentional and start trying to do that more and everything that we’re doing. Okay, okay, time for our last break text to give you’ll get more revenue because text to give makes e-giving easy for your donors. If they can send a text, they could make a donation. It’s simple, affordable, secure, plus the ceo chadband oid is a smart guy. He set up a really smart company text npr to four, four, four, nine nine nine for info. Here’s the wrap up of your brand personality. Okay, perfect. So let’s talk about some of these internal processes that could be valuable, teo making this pervade and be and be consistent across all our teams, et cetera. So i mean some things we recommend our makeup part of orientation, so every time a new staff person, you know comes in someone like dahna, trains them and goes through the brand guide explains the brand strategy shows how we use it, just make that part of a standard thing as on any other on boarding have regular presentations that staff meeting, depending on an organization. Some organizations have staff meetings once a week, some have them once a year. What and whatever form at the staff is getting together, or they might use slack or hip chatter, stride whatever it may be. You know, these tools were organizations are communicating already take those ongoing moments and figure out where to plug communications, including the brand into that, and not just saying this is our brand personality but saying this is our brand personality. We were debating two covers for annual report, which one you think looks more like acts or more like why and getting people to understand how they use their brand personality in real time railways. Okay, excellent. Anybody else have examples of what you do internally ? Tell her i think one of the biggest parts of our organizational identity campaign was coming out of it. We not only had a new name, but a new website. So that’s just one thing off the bat where that sort of our most public facing piece on dh we worked really hard to make sure that our new website represented our brand and are brand personality on then we have had for a long time a style guide, so it guides what words we use in communications. Make sure. We’re being inclusive and not using violent language, things like that, and then we also developed a brandon guide. So it’s, a written document that explains what, when our personality is what our positioning is on, then how to use that and, you know, also has things like colors and those sorts of things that just make it morgan, make it able to be consistent for everybody, who’s using it. Johnny, you talked a lot about what you do. Anything more you want to add about what you’re doing it at highest. You gave us. The whole time you’re you’re you’re you’re drop by this time up, we have still have, like, another three minutes or so left. Implementing one of the things you mentioned in your session description, implementing your personality throughout your communications. I mean, i don’t know, it really pervades a lot of what we already talked about anything more you want to make you anything you want explicit about about the communications i mean, i would just say, don’t just think about the big, so your website is hugely important. Your facebook page, your annual report, your newsletter all of these things that we immediately think of us communication tools are very important to represent us, but don’t discount the things like the person who answers the phone or answers the email or the conference here at you know, and you meet taylor, who works for corporate accountability. You have a great experience with taylor, of course, and taylor represents certain feelings you’re going to cement in your brain and help see corporate accountability. That way, you need to realize that your brand is emphasized across every single touchpoint i know points kind of charge anywhere and throughout every person, every interaction, every person, you know, even if you don’t represent the organization on social media, it says you work there people think about you that way. So your staff and your board are extensions of your brand as well as every single person your donors, you’re volunteers, the more they understand what you’re about and are trained as well as like, you know, you talk about how to represent you there better. You are actually being seen that way. You hope to be seen volunteers interesting once. And they you guys did some volunteer train, organizational ambassador work that might be interesting to talk about. Yeah, the sort of most immediate adoration is right after the trump election. We started the corporate accountability action league s so this is a group of really dedicated volunteers who just raise their hand and said this is unacceptable that the president is now a person who is cementing corporate power at the federal level on dh. I need to do something about that, eh ? So we now have a network of a couple thousand folks who are really engaged with our work, do some really high level organizing around very specific issues that we sort of point them towards and let them them go and make some impact. Um and yeah, i think you know it. Was self selecting at first, but then we’ve done a lot of work around sort of i’m developing organizing guides that, you know, gives them the templates of howto run a campaign with tools to empower them exactly take it within within certain constraints. Yeah, exactly where they want to go. Yep. And then we’d done some digital work around webinars to sort of give them all of the fact that they need around an issue and explain why it’s important and set them on the on the path to organizing around it. We’re gonna leave it there. All right ? All right. They are farrah trompeter, vice president of big duck and chair of the inten board. Terribly digital engagement director att at corporate accountability and jonah, director of digital strategy and engagement hyre thank you very much. Thank you. Thank you, tony. You’re very welcome. 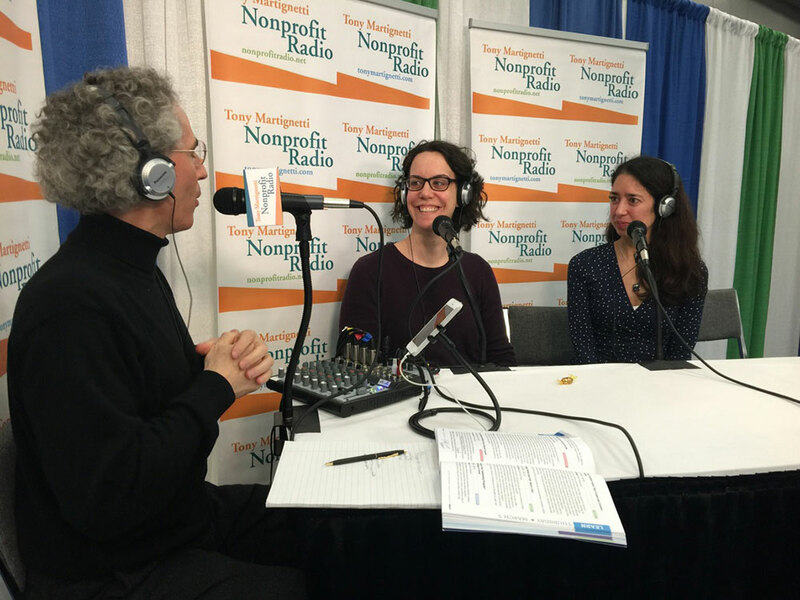 This interview sponsored by network for good, easy to use donor-centric software for non-profits and thank you for being with tony martignetti non-profit radio coverage of eighteen ntc next week. Amy sample ward returns with fund-raising jing. If you missed any part of today’s show, i beseech you, find it on tony martignetti dot. Com. We’re sponsored by pursuing online tools for small and midsize non-profits data driven and technology enabled. Tony dahna slash pursuing capital. P well, you see, piela is guiding you beyond the numbers. Wagner, cps, dot com bye tello’s, credit card payment processing your passive revenue stream. Tony dahna, slash tony tell us and by text to give mobile donations made easy text npr, to four, four, four, nine, nine, nine a. Creative producers. Clam meyerhoff. Sam liebowitz is the line producer. Shows social media is by susan chavez. 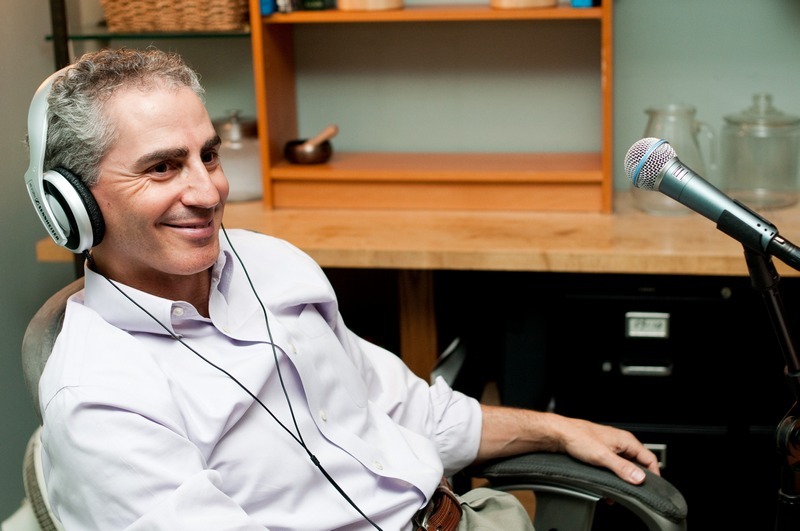 Mark silverman is our web guy, and this music is by scott stein of brooklyn, new york. You with me next week for non-profit radio, big non-profit ideas for the other ninety five percent. Go out and be great. What ? You’re listening to the talking alternative network, waiting to get a drink. Nothing. You could. Hi, are you interested in blockchain technologies and crypto currencies ? Then tune in here on talk radio. Got n y c with me, david every friday, eleven a, m twelve p, m eastern time. As we answer your questions and interview, great guests live on internet radio on building the blockchain where you can catch the blockchain revolution. Duitz you’re listening to the talking alternative now, are you stuck in a rut ? Negative thoughts, feelings and conversations got you down ? Hi, i’m nor in sumpter, potentially ater tune in every tuesday at nine to ten p m eastern time and listen for new ideas on my show. Yawned potential. Live life your way on talk radio dot n y c hey, all you crazy listeners looking to boost your business ? Why not advertise on talking alternative with very reasonable rates ? Interested simply email at info at talking alternative dot com. Are you into comics, movies and pop culture at large ? What about music and tv, then you’re in for a treat. This is michael dole. Check your host on talking alternative dot com. I’ve been professionally writing comic books, screenplays and music articles from fifteen years. Catch my show secrets of the sire at its new prime time slot. Wednesdays, eight p m eastern time, and get the inside scoop on the pop culture universe you love to talk about. For more info, go to secrets of the sire dot com dahna. You’re listening to talking alt-right network at www. Dot talking alternative dot com, now broadcasting twenty four hours a day. Are you a conscious co creator ? Are you on a quest to raise your vibration and your consciousness ? Um, sam liebowitz, your conscious consultant, and on my show, that conscious consultant, our awakening humanity, we will touch upon all these topics and more. Listen, live at our new time on thursdays at twelve noon eastern time. That’s, the conscious consultant, our awakening humanity, thursday’s twelve, noon on talk radio dot. You’re listening to the talking alternative network. Yeah. Napor. Opportunity Collaboration: This working meeting on poverty reduction is unlike any other event you have attended. No plenary speeches, no panels, no PowerPoints. I was there last year and I’m going this year. It will ruin you for every other conference! October 11-16, Ixtapa, Mexico. Listen to the July 17, 2015 archived podcast. Beth Kanter and Ritu Sharma want you to make walking part of your work day. Not for a break. They share how to work while you walk, including walking meetings, and they swear you’ll be more productive, more creative—and feel better. Beth is a master trainer, author and blogger. Ritu is co-founder and executive director of Social Media for Nonprofits. We talked at NTC, the Nonprofit Technology Conference, hosted by Nonprofit Technology Network (NTEN). A website redesign is expensive, time-consuming and overwhelming. Starting on day two, how do you keep it current? Farra Trompeter is vice president at Big Duck and Kira Marchenese is senior director, digital strategy + platforms for the Environmental Defense Fund. This is also from NTC.